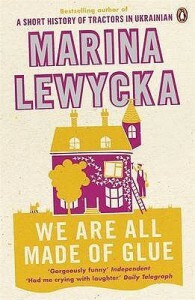 The second book by Marina Lewycka I've read (the first being Two Caravans). Just as wonderful, entertaining and moving as I expected from her. Her characters are loveable & outrageous yet so well defined finishing the book is almost like losing a group of friends. The reason i've marked this with 4 stars (as opposed to the 5 I gave Two Caravans) is because the topic didn't pack as much of an emotional punch as I was expecting. It's not a criticsm at all just an observation. For me personally it didn't touch me as much Two Caravans did. I shall be devouring Marina Lewycka's other novels very soon!